KkthnxUI is a simplistic user interface that holds onto the information and functionality, while still keeping most of the good looks. It can be used for any class or role. If you're familiar with it, simply clone the repository to 2 folders named KkthnxUI and KkthnxUI_Config inside your World of Warcraft addons folder. If not, and you need to do this manually, then download and unzip it to your `World of Warcraft\\Interface\\AddOns\\` directory. Also, make sure the game is closed when moving new files into the addon directory as it is unable to discover new files when it's already running. Bug reports and feature suggestions are all done through GitHub's Issue tracker linked below. 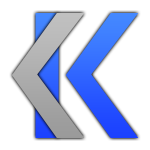 If you're looking for the current development status of the current or next version of the UI, you can check that out at Kkthnx's GitHub project pages. There are thousands of users, but most are content to simply download and use the interface without further ado. If you wish to get more involved though, have some questions you can't find answers to anywhere else or simply just wish to stop by and say hello, we have both a [discord](https://discordapp.com/) server and a Facebook page. Donations are welcome, but not required to use the UI at all. Donations help me further my development and fuel my gaming! Donations will never be a requirement to use the UI! If you would like to donate, you can do so down below. Last edited by Gunga : 01-20-19 at 06:46 PM. I tried to disable it in interface options but it always gets reset back to lock action bars. I disabled all hotkeys for it as well so no accidents can happen. Playing as a protection pala, when I got aggro the nameplates shouldn't be green? Last edited by Gomezeu : 08-24-18 at 05:27 AM. Hello, I love your UI! I have two questions and honestly I might just be blind, if that's the case; sorry. I was wondering if there is an option to make the raid frames grow horizontal? And can the general border textures (like the one on the minimap) be changed? No and No. Sorry these will never be options in the UI. Hey. I'm using the latest version, playing as a tank the nameplates doesn't change the color by threat. I also checked the "Threat" box from Nameplates. Any idea? Working fine on my end. What class, spec and such are you playing? Maybe im doing it wrong, but i would like to have the tooltip for what i hover over with my mouse right at my mousepointer. Sry for my bad english. There is an option but i cant get it to work in your beautiful ui. Am i doing it wrong? I would like to not have a healthbar portrait of my char and on the target bar. It that possible to remove it? Tooltip anchoring works fine. Can you please provide any proof of the bug on your end? No you can not adjust the health and or class power source. These are hard coded in and will always be this way. Thank you, I've been following your work forever. Really appreciate it! Last edited by Kkthnx : 08-23-18 at 06:02 AM. Last edited by Meugenius : 08-02-18 at 02:44 PM. How do I access character page, mount page, lfg, pvp page etc? Without keybinds of course. Is there a way to access the icons for these pages? I really like your UI, keep on a good work. Shift right click and or middle mouse click your minimap. Great work. Simple and useful. But there is an issue. Can't change all of border colors. Only some of them are changing. I haven't gotten around to updating that yet! Will soon though.